A simple yet powerful idea that 99% of site owners and webmasters forgot about. I mean it’s the time of netbooks, Smart phones and mobile browsing. Isn’t it important for you to know how people view your sites? Especially if you have a low bounce rate, you may want to visit the Google Browser Size project and see how many of your visitors see exactly what at a first glance at your page. Back in the days (and I assume until now) we used to call it what’s above the fold, that’s why you will see almost every blogger in the world have their “Subscribe to” links or “Email Signup” form on the first half of any page on their blog, this Google tool is powerful in a way that helps you re-design or re-arrange your pages to get maximum benefits from it. For more information on the series #WIWG, please click here. You can now easily migrate existing (email and contacts) from Hotmail, Yahoo! 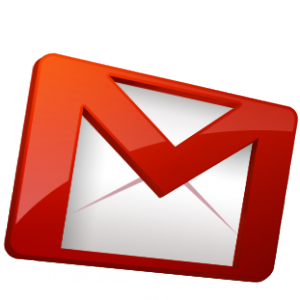 Mail, AOL Mail and other webmail providers into Gmail. Imported emails will be appropriately sorted by date, and existing folders will become labels (Another cool feature in Gmail). And you can have your messages forwarded from your old account for 30 days, giving you time to take Gmail for a test drive, and I guarantee you that you will love it, I know that 70+ of my students at Wahol.com moved to and upgraded to Gmail, and I know that every single one of them loved it for all that it has to offer. BTW this new feature is available in all newly-created Gmail accounts, and it is slowly being rolled out to all existing accounts. You’ll know it’s available in your account when you see the “Accounts and Import” tab under Settings.